Success, when it comes to the web directory industry, can be measured in terms of the bottom line business profit, feedback, high webpage traffic rates, or partner relationships with search engine providers and websites. Usefulness to the businesses that use the directory’s services will be determine by the sites ability to promote client interests. From the user’s point of view a useful directory will be easy to use, speak with genuine authority, be truly informative, and be updated periodically to reflect the current online situation. To put it all together, we can say that the success of web directories, the websites they list, and the usefulness to the web-searcher are a “house of cards” that ultimately stand or fall together. Without a happy customer base, the house of cards comes down with a crash. 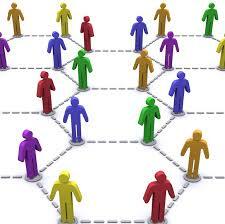 What Makes an Online Web Directory Useful to the Web-searching Community? There are an incredible number of online web-lists that direct people to what are presumably top websites with the the desired information. But, a lot of these “link-farms” aren’t particularly useful so the customer looks elsewhere. Other problems arise if the information is not well presented. The first thing the site-visitor will notice is whether he or she beholds a half-garbled mess of words, letters, and numbers or an intelligible, well-organized list. Bad spelling and grammar will say to him that the builders of this site either did not know how to or did not take the time to create a professional-looking page, and may then assume that they cannot trust its advice. Abbreviated forms and product codes squished together in small type is incredibly unappealing and will say to the user that the site is meant for professional inventory workers and not for them.d Eventually a potential member will tire of the unfriendliness of the site; consumers will not try all day to decipher the “code.” Randomly or ill-organized data will also be a turn-away. It is not merely the presence of good data, but the easy access to it facilitated by good organization that makes a website, a book, a library card catalog, etc. truly beneficial to the user. Finally, the searcher will need to prove the worth of even a good-looking and well-put-together site through actual use. If consumers are consistently directed to websites where the information sought is found and the information sources are truly top notch, then the consumer will continue to use the service. They might even share your directory with others, giving you some free marketing! What Makes a Web-Directory Site Useful to Listed Companies? An online business wants to get as much exposure as it can and may be quite eager to have itself listed in as many online lists as possible. It is important to be cautious in this endeavor as you don’t want your business to be associated with a site that looks like a mess, does not help the user, and seldom gets them new customers anyhow. If your directory-site is quality, businesses will want to be included in it and pay to have space dedicated to their company and it’s interests. This is especially true if your directory is updated regularly. Businesses should be in the proper categories, be identified clearly as a blog, newsletter, etc., and be described in plain English. Some sites suppose that merely piling up key words in their descriptions and titles will ensure high traffic, but this is now considered “spammy”. To properly use keywords in 2014, sentence structure should flow naturally while including keywords. Sentences that sound like they are spoken by an alien or stuck together by a computer will disappoint users seeking to rank higher on search queries. Specificity in description and category is of the utmost importance, without such measures your database becomes nothing more than another generic site. Another tip…allow two-way and back links to increase companies’ desire to be in the list, but balance the concerns of the business with those of the search community. A logical and hierarchical arrangement with cross references to interconnect categories will allow incredible ease-of-use and lead people to the company site faster. It’s ok to list something in more than one category if it makes sense, but avoid over-doing it since users do not want to see the same name over and over. 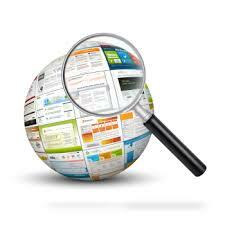 With a quality appearance and superb organization, you can attract companies to submit for listing on your pages. What Other Factors Lead to a Successful a Web-directory? Besides keeping an up to date, attractive, well-organized list of the best links on the web, there is the issue of SEO to consider. For users to track down your site it should be linked to other web-lists and to search engines, especially the high-volume ones like Google or Yahoo. Keep track of algorithmic search engine changes; Google releases rolling updates, so you may have to do some digging. Lastly, do not accept all applicants to be included on your pages- take the time to sift through them and demand person-submitted instead of automatically-submitted listings. Doing this will help avoid similarities between your site and spammers. You have to make money somehow, so explore the feasibility of a low-cost paid posting policy; try for affiliate status and reciprocal linking. A successful source of current web-listings that can carry some kind of authority with its recommendations must be built with partner websites and promote them to the users, yet value the customers and SEO effectiveness as well to be top in its industry. 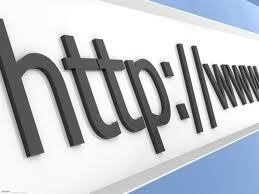 Constant updating and improvements will gradually build a successful site. How can I get good feedback about my web-directory? Putting out an online newsletter or blog site, or leaving an email address for user feedback are ways to get a discussion going that includes some constructive criticism. How do I rank my listings? You can find expert volunteers or workers who can handle the big job of evaluating which websites to list first, feature, or mark as generally considered the best sources or products. How can I get exposure in personal or company email of users? Not only can you give users a chance to sign up for a newsletter, but you can work with listed companies to have email-internal connections to your site included in emails sent from those businesses to their clients.